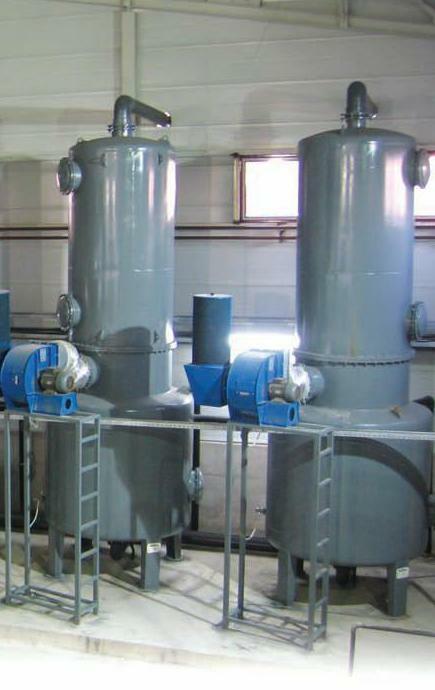 It is used for removing hydrogen sulfide (H2S) and carbon dioxide (CO2) gases out of water resources. In water that passes through cation exchange resins, hydrogen changing place with cations causes acid formation. As a result of acid's contact with bicarbonate ions, carbon diocide comes into existence. Besides, varbon dioxide can pass through reverse osmosis membrane element. 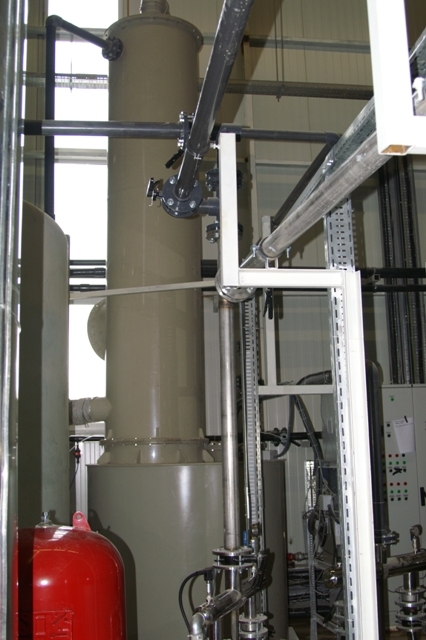 In such cases carbon dioxide degasifier is used. Water enters into the unit from the distribution diffuser at the top part of degasifier. Water flows downward by contacting polypropylene rings that have been filled at the top tower of degasifier. At this stage, air that is blown by the fan of degasifier contacts with water and removes that carbonate in water after co-opting it. Then the treated water will be reserved in the bottom depot of the degasifier.